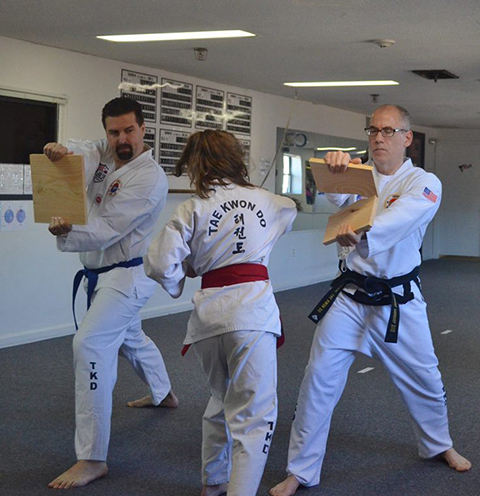 Tae Kwon Do is a version of unarmed combat designed for the purpose of self-defense. However, it is more than just that. It is the scientific use of the body in the method of self-defense — a body that has gained the ultimate use of its facilities through intensive physical and mental training. Founded by General Choi Hong Hi in 1955, Tae Kwon Do has proven incredibly popular since. Translated literally "Tae" stands for jumping or flying, to kick or smash with the foot. "Kwon" denotes the fist-chiefly to punch or destroy with the hand or fist. "Do" means an art or way of life. To learn more about our martial arts training, contact us today. Students line up by rank, right to left, with new students in the back. After the class goes through a short opening ceremony, basic fundamental exercises begin. 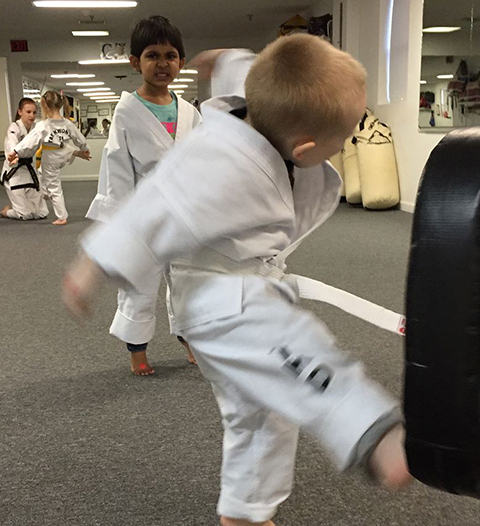 The second half of class is usually patterns, one-steps, takedowns, and or sparring. 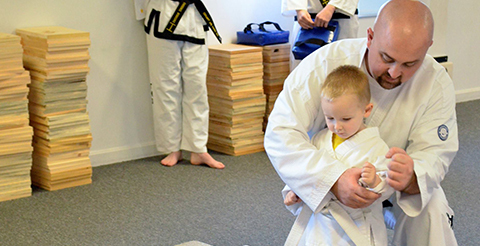 We try to pair new students up with a black belt or someone their rank and size. Classes are one hour long (with TinyTots classes being 45 minutes). White — Signifies innocence, like that of a beginning student who has no previous knowledge of Tae Kwon Do. Yellow — Signifies the Earth from which a plant sprouts and takes root as the Tae Kwon Do foundation is being laid. Green — Signifies the plant's growth as the Tae Kwon Do skill begins to develop. Blue — Signifies the Heaven, toward which the plant matures into a towering tree as training in Tae Kwon Do progresses. Red — Signifies danger, cautioning the student to exercise control and warning the opponent to stay away. Black — Opposite of white, therefore, signifying the maturity and proficiency in Tae Kwon Do. It also indicates the wearer's imperviousness to darkness and fear. 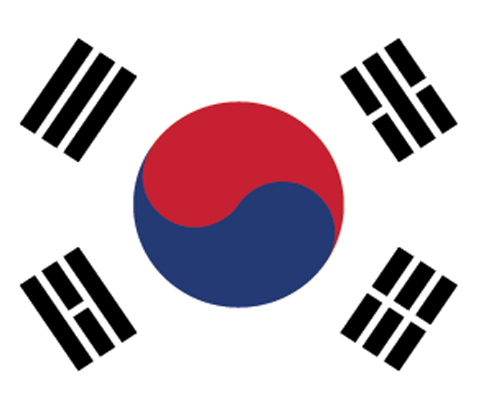 The Korean Flag symbolizes much of the thought and philosophy of the Orient. 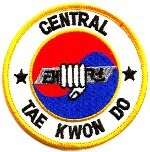 The symbol, and sometimes the flag itself, is called T'ae Kuk. Depicted on the flag is a circle divided equally and locked in perfect balance. The red section represents the Yang (plus) and the blue section the Um (minus), an ancient symbol of the universe which originated in China. These two opposites express the dualism of the cosmos: fire and water, day and night, dark and light, construction and destruction, masculine and feminine, active and passive, heat and cold, plus and minus, and so on. The central thought in the T'ae Kuk indicates that while there is a constant movement within the sphere of infinity, there are also balance and harmony. Three bars at each corner also carry the ideas of opposition and balance. The three unbroken bars stand for heaven; the opposite three broken bars represent the earth; the two bars with a broken bar in-between symbolize fire; the opposite is the symbol of water. To bring the movement of eyes, hands, feet, and breath into a single coordinated action. To become familiar with the correct angle and distance for attack and defense. All movements must begin with a backward motion with very few exceptions. However, once the movement is in motion, it should not be stopped before reaching the target. To create a sine wave during the movement by utilizing the knee spring properly. Set a good example for lower ranking students. Acknowledge your rank is a privilege and know you must earn it every day. Represent your Tae Kwon Do School with pride. Be loyal and respectful to your Instructor.